'I stopped smoking' or 'I stopped to smoke'? I stopped to talk or I stopped talking? What is the difference in meaning? 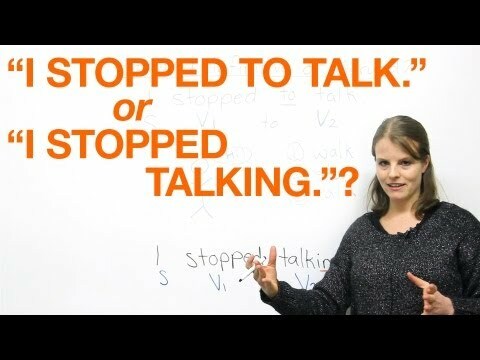 In this lesson, we will look at the verb "to stop" and when it should be followed by a gerund or an infinitive. The meaning of "I stopped to smoke" and "I stopped smoking" is very different. Watch this video and find out what the difference is.